Should your pipe cutting machine manufacturer also be a fabricator? The simple answer is, "YES." 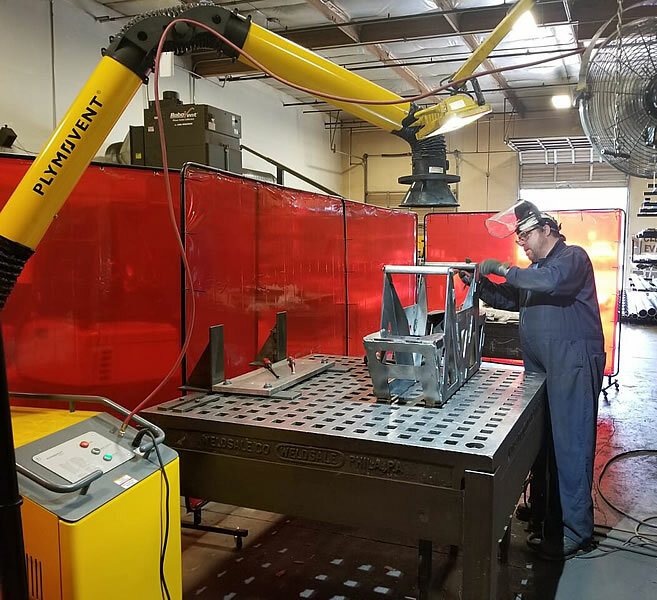 Watts-Mueller fabricates steel and aluminum components on our machines in our Puyallup, Washington shop. It's all about quality - and being made in the USA! Watts-Mueller machines are being used for multi-million dollar projects all around the world. 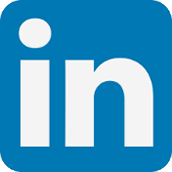 We invite you to download our company brochure. 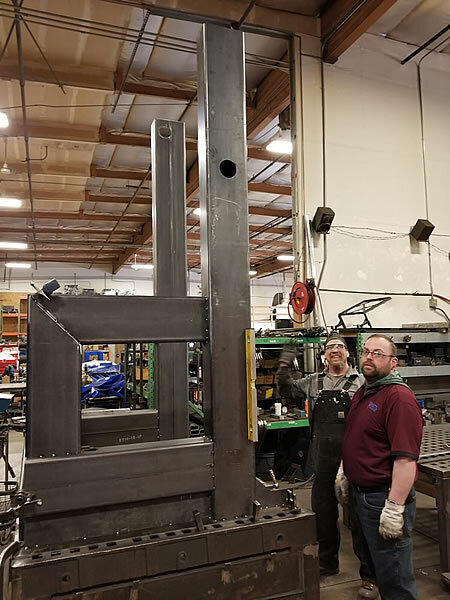 A Watts-Mueller 48" machine frame being inspected by the "A" team. for all of our weld stations. 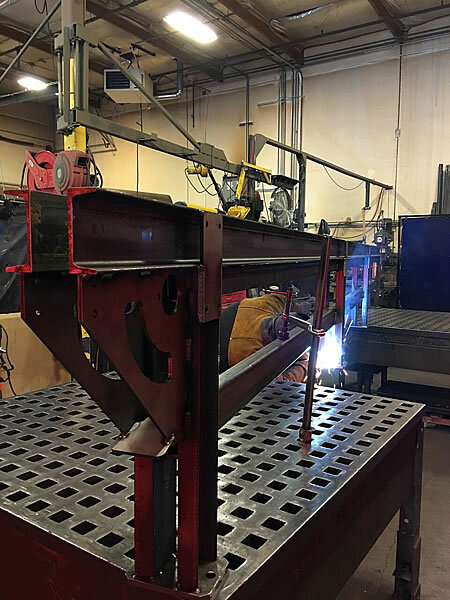 Fabricating a Watts-Mueller pipe loading rack. 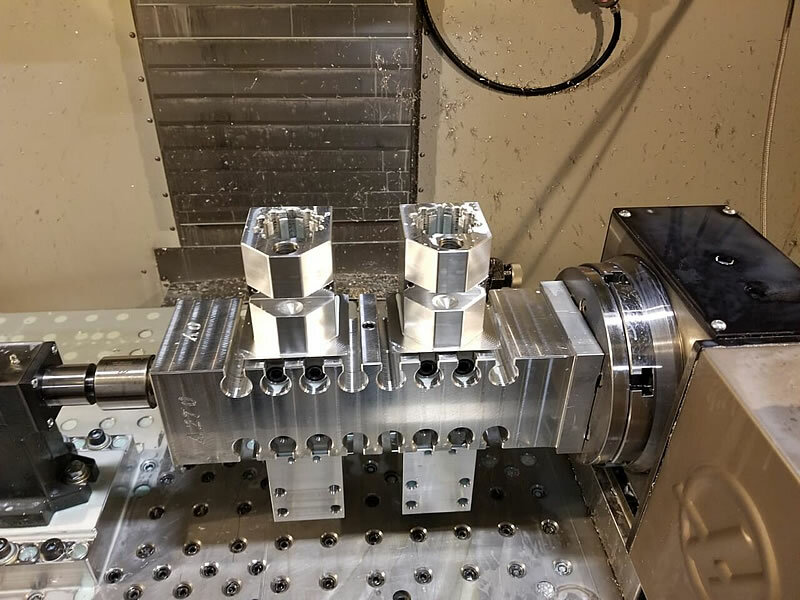 Clamp blocks being machined on our 4-axis milling machine.